The Sega Mega CD, or Sega CD as it’s known in the USA was an upgrade/add-on for the Sega Mega Drive / Genesis which offered CD-ROM capability. 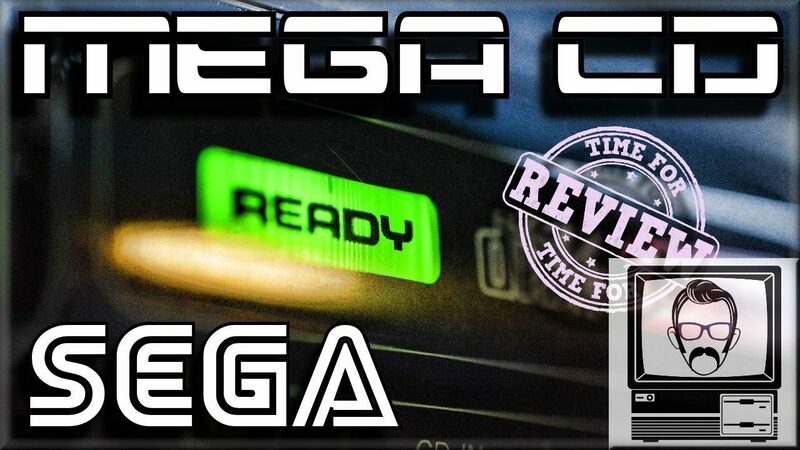 Incorporating an additional Motorola 68000 chip, increased memory, and custom graphics and sound processing, the Mega CD was poised to be a massive leap forward in technology for existing Mega Drive owners. Console add ons… remember when they were all the rage? Hmmmm, no, neither do I. 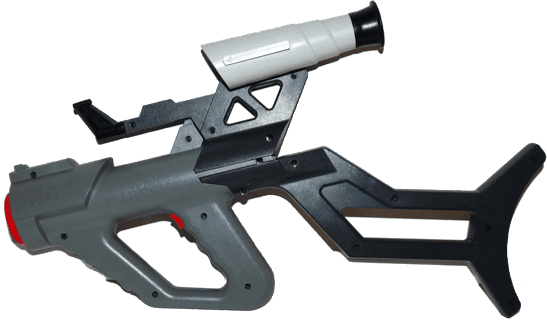 Looking back on the success of add on devices like the Mega CD and 32X, and even accessories such as the Sega Menacer or Nintendo’s Super Scope, it’s easy to claim that these devices were all doomed to failure from the get go. I mean they each had their own niche audiences and they weren’t a total disaster, but none of these devices were the successes that their designers hoped they would be, and I feel that’s a bit of a shame, because back in 1993, I really, really, really, wanted them ALL. Looking back at Sega’s marketing campaign, it feels clear why I did. Sega were always on the slightly crazy side of advertising, in a pitch to invoke older “cooler” audiences, or at least, make their machines appear that way, and the Mega CD advertising was no different. Blasting you with colourful visuals, flashing lights and mad men in something reminiscent of Mad Max crossed with Emmett Brown, the advertising confused, dazzled and whetted the senses for this almighty powerful device. An entire promo VHS was even released featuring the “Sega Action Chair”.. this felt like humans, merging with machine, real life graphics and 500MB of shiny coated disks to create something so powerful, you could take over the world…. Mwahahaha. Of course, looking now, it’s just a shabby chair and an bottlenecked accessory, but at the time… Mwahahahaha! Early in prototype statge, news of an “in development” GigaDrive unit spread.. 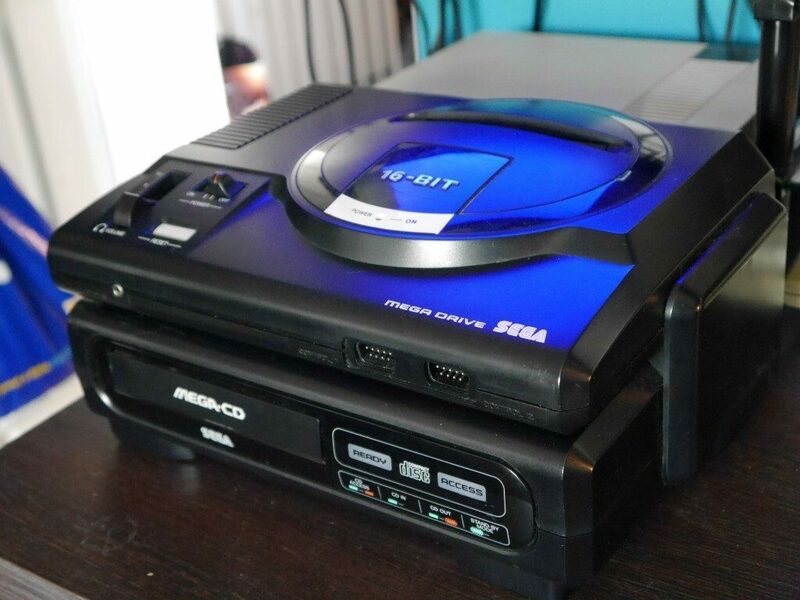 This unit would eventually become the Mega CD (or Sega CD as it’s known in the States due to the Mega Drive not actually being Mega, but instead being Genesiiii?… We’ll stick with Mega for this video). It sold 2.24 million units worldwide over a 4 year lifespan. Given that there were 30 million Mega Drive owners in the world, this equates to a 7% market reach, so you can see why most developers would opt to continue development for the Mega Drive over it’s beasty add-on, and that really was the machine’s main downfall, but yet the prevailing wisdom at the time was add-ons could succeed. The Japanese market was already awash with add ons for the PC Engine, including keyboard, interfaces, CD-ROM drives, and Sega had already responded with a Mega Drive modem, Master System FM sound unit and even plans for floppy drive add-ons, so it was only a matter of time until CD was also brought to the table. 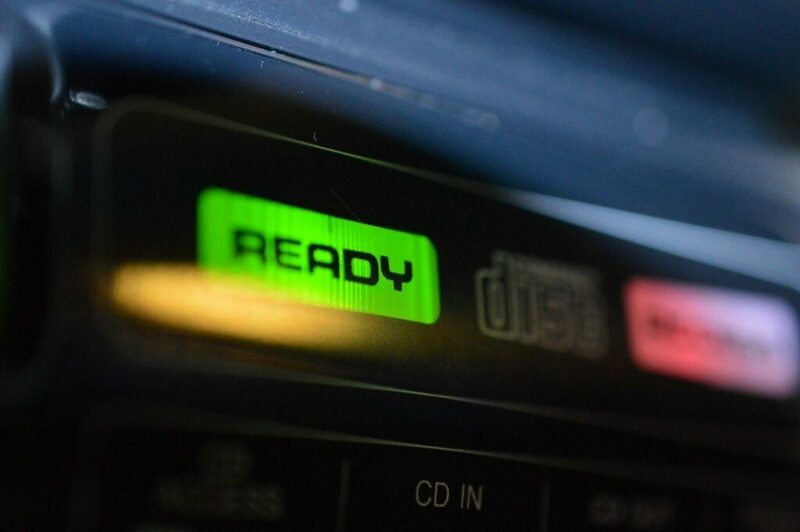 CD-ROM was key, and everyone knew it was where the future lay.. shortly after the Mega Drive‘s launch Sega’s Consumer Products Research and Development Labs led by manager Tomio Takami were tasked with creating a CD-ROM add on. Manufacturers were desperately keen to get onto this new technology first – Nintendo were already working on a SNES CD add on, which would eventually fall through and become the Playstation -, but in Sega’s eyes, what better way to reach people, than to create a device which can already been used by 30 million people around the world, for a fraction of a brand new console. However it’s there that we find another problem. An additional Motorola 68000 CPU, clocked at 12.5MHz to work alongside the Mega Drive‘s 7.6MHz twin. 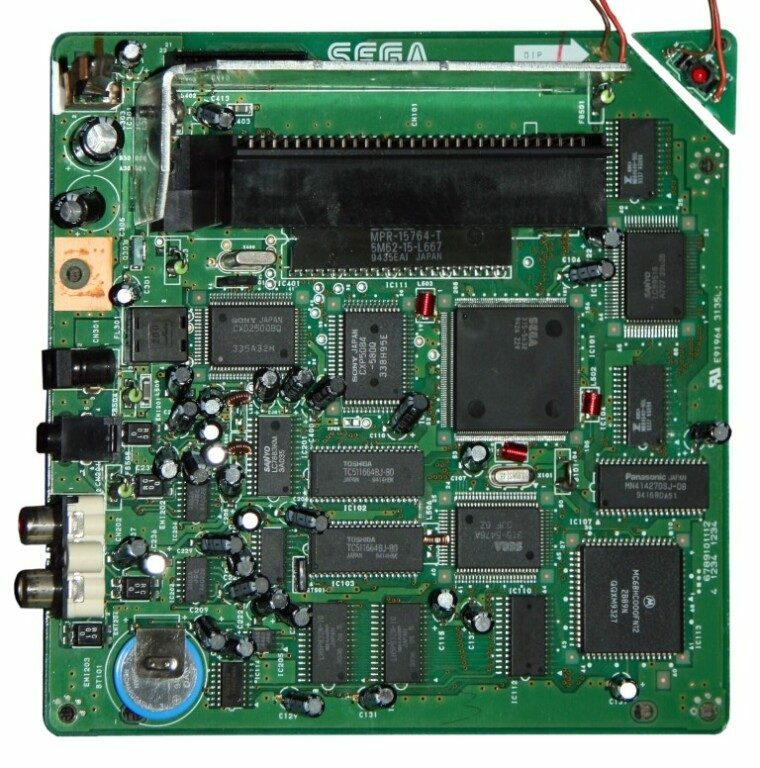 You might think that would be enough, but Sega also whopped in a custom ASIC graphics chip, which gave the system sprite scaling and rotation, similar to what we see in the Super Nintendo. And if that wasn’t enough, there was also a Ricoh RF5C164 sound chip, which allowed CD streamed audio, additional channels, improved sample playback *queue sample* and stereo sound by giving each channel slightly different volume outputs. To gain access to this increased power, the Mega Drive‘s expansion socket plugsneatly into the side of the Mega CD unit. You then need to provide power to both the Mega CD and Mega Drive, couple the Mega Drive into the TV and BOOM. You’re good to go. The fact that the Mega Drive is still pushing out the video left some limitations to the on screen colours, and this is one of the main reasons the later 32X has it’s own video out. If you want Stereo sound from the original Mega Drive then you also have to couple the Mega Drive‘s headphone jack into the back of the Mega CD. An additional bonus is that the Mega CD itself features stereo phono outs, so you can even utilise the unit as a CD player in your Hi-Fi System, which back then was also a major selling point. All this ensured that the Mega CD weighed in at £269, which was double the Mega Drive‘s base price and equivalent to over £500 in today’s money. 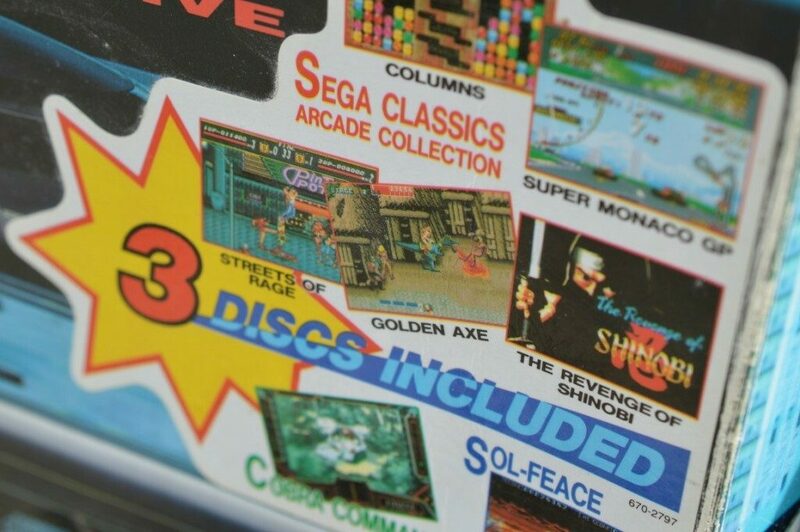 If you add in the Mega Drive‘s price we’re talking £750 in today’s prices. That’s a huge outlay for a piece of equipment which was yet to really prove itself. Mega CD games could of course outperform bog standard Mega Drive iterations, but it never seemed they could outperform by as much as my brain thought they should. We’re talking the processing power of more than an entire complete, additional Mega Drive added on here… but the games… meehhhhhhhhh… other than the FMV sequences, which themselves looked grainy as hell due to the unit being bottlenecked by the Mega Drive‘s maximum 64 on screen colours, my expectations just weren’t being met, and I think other people felt the same. In additional to the colour limitations, a further reason behind this were the bottlenecks caused by the Mega Drive‘s slow access speed, but other MORE SINISTER reasons lay in the actual software itself. I mean, the graphics were still pretty amazing for the time, and it didn’t deter my WANT for the unit, but most of the games looked like they could run on base Mega Drive hardware… annnnnd in many ways, that was kinda true. The Mega CD had launched in Japan in 1991 at the Tokyo toy show, and clocked up initial sales of 100,000 units in just a few months, however developers were still producing for the Mega Drive in preference, and any Mega CD games which arrived were merely ports to the CD format, or even vice versa, with Mega CD games intentionally limited so they could easily be ported to the cartridge format… OK, maybe not so sinister, just Capitalism doing it’s thing. Sega’s own support was also lacking, releasing only 5 games to the Japanese market in the first year. The machine never recovered in the Japanese market, and the next 100,000 units took several years to sell, rather than several months. Sega of America recognised this and tried to do something about it for the North American release and so turned to Olaf Olafsson (yeah, I know) at Sony who was working with the Digital Pictures studio, who had been working on FMV type games for the potential SNES add on, but as Nintendo had just abandoned Sony to form an alliance with Philips instead, these games needed a home, and who better to take them on board than Nintendo’s rival. The games under development were Sewer Shark and Night Trap which before the SNES add on were initially intended for an intended VHS based Hasbro game system (but given how utterly crap the already released Action MAX was, this was reconsidered). With the SNES project gone, they were more than keen to jump onto the Mega CD, despite the hefty conversion needed to make the games work for the Mega CD’s limited FMV through-put. Launching in October 1992 for the American Market, the Sega CD sold 300,000 units in the same 3 month period, with the European April 1993 launch offering similar relative enthusiasm and bundled with the Sega Classics collection alongside Sol-Feace and Cobra Command. This early success was in part to FMV graphics people were seeing on demos and television, which looked mind blowing. Before, we’d only dreamt of video graphics in games, but now they were here! Other games released such as Batman Returns demonstrated the sprite scaling technology which gave an arcade feel and committed further buyers to the platform. It’s only when we realised that the FMV graphics were literally just a button pressing video that excitement started to die down, aided by the flurry of hasty 16 bit conversions which other than an improved CD audio soundtrack, failed to excite the senses. To further rub salt into the wound, Amiga’s recently released CD32 was starting to outsell the add-on, offering the excitement of CD based media, 32 bits! and being it’s own machine without the pre-requisite of having to own a Mega Drive. 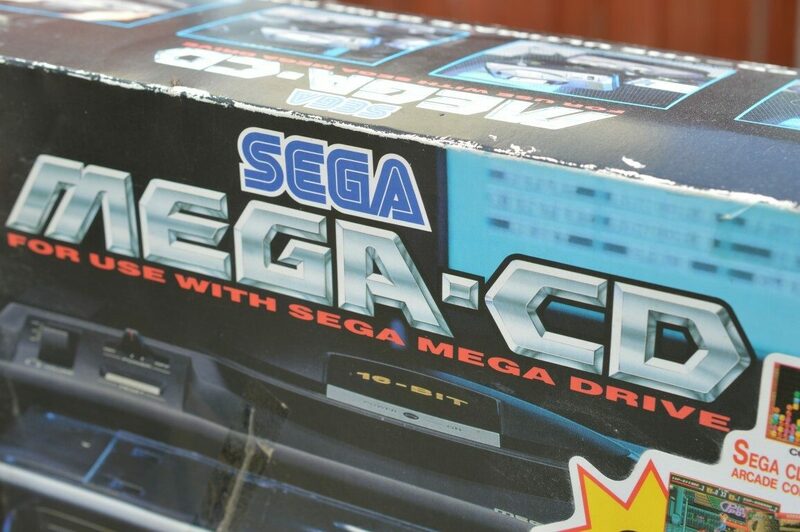 The Mega CD began to commercially stall from late 1993, once excitement had died down, and presumably those who could afford the system had already bought one. It didn’t help that most people at the time only had access to static screen shots of the hardware in magazines, and that unfortunately just didn’t convey the full abilities of the machine. Due to the late release over here in the West, Sega’s updated Mega Drive II would also be released over here in 1994, which paved way for the Mega CD II. Rather than boosting sales, if anything this just added confusion in the market. Some people held out for the Mega CD II’s lower price, and others were just unsure as to whether their Mega Drive 1 would work with the Mega CD II and vice versa. The reality is, they were all cross compatible, but in my eyes the both the Mega Drive II and the Mega CD II look like toys compared to the sleek component Hi-Fi look of the first generations. The Mega Drive would continue to serve as a popular platform for several years to come, marking Sega’s fears of losing market share, unfounded. 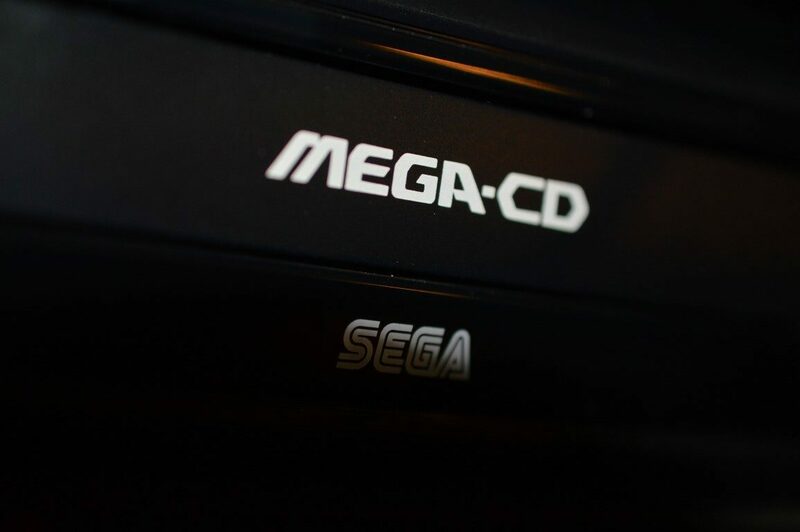 The Mega CD was slashed to £99 in 1995, but this slow down didn’t stop Sega from releasing all in one Megadrive & Mega CD units such as the Multi Mega to try and boost game sales and production, and even releasing yet another “upgrade” in the form of the 32X in the subsequent year… but that, my friends, is a story for another day.